Tomatoes: choose meaty, full-flavored ones, such as Romas, San Marzanos, Amish Pastes, Beefsteaks, or Brandywines. Hot Peppers: plant a mix: jalapeños for sure, serranos or anaheims for heat and flavor, habañeros for extreme heat, and poblanos if you want to roast some of the peppers for a smoky, chipotle note to your salsa. Cilantro: plan to plant this every 2-3 weeks through the summer so you’re never without (it wilts quickly in the heat and can go to seed within days, so you’ll want a fresh supply). Spanish or White Onions: these can be planted either in the fall for overwintering, in the mid-spring, or along with all your other plants. They take much longer to germinate and grow to their full maturity, though, so an early planting is a good idea, if possible..
What to Plant in a Salsa Garden? Once summer hits, there is nothing better than pulling veggies out of your garden and whipping up a summer salsa. With a bit of elbow grease and a few tools, you can easily grow and product a salsa that couldn’t be more fresh. 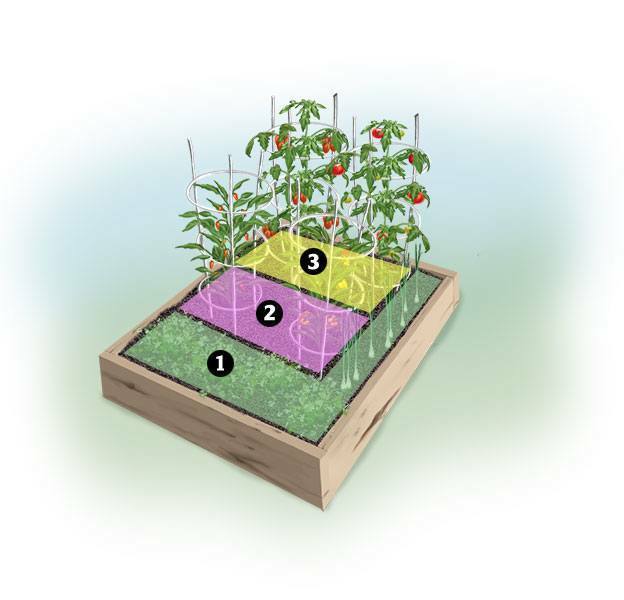 What Is A Salsa Garden? A salsa garden is just a normal garden, but focused on growing salsa essentials: tomato, onion, peppers and herbs. While none of these plants require a great deal of meticulous care, they will need to be planted at the right time and harvested at the ideal flavor point. If you already have a garden, find a sunny spot for Roma tomatoes and peppers hot enough to satisfy. Other vegetables you’ll need may include cilantro, onion and garlic. If you don’t have a garden plot cleared yet, find a spot in your yard that will pick up a lot of sun. Very few food-bearing plants will thrive in the shade. Also consider the possibility that you may need to fence in your garden at some point, as bunnies really like the leaves of pepper plants and the green shoots of onions. A durable shovel – If you’re busting sod, you’ll need something sturdy, and a cheap shovel will leave you with a busted handle and a less than useful head. Once the sod is gone, dig deep and really turn the soil. Water will reach the roots of your plants more effectively and they’ll produce more food. A hand cultivator – Mechanized cultivators are available, but for a first turning it’s a good idea to use a hand tool. You can get a good look at your soil and review the contents.If you see earthworms, you’re in luck. If the soil is extremely heavy, you’ll need compost. If it’s sandy, you’ll need to amend it when you set your plants. Garlic should be planted in the fall for a summer harvest. If your winters are extremely wet, amend the soil to keep it light so your garlic doesn’t rot. Onions can be planted early in the spring as long as they ground temperature stays above twenty degrees Fahrenheit. Onions can be planted in a block instead of a row, so you can keep them in consistent sunlight. If you live in the south, consider a lime tree. If you have a sunny window and eight to twelve hours of daylight, try growing citrus indoors! Choose a meaty variety of tomato or you get spicy tomato juice in the chopping process. Romas are excellent for salsa, and they keep their shape when scalding to peel. Add calcium powder (available in gardening stores) to the hole when setting your tomato plants; they’re heavy feeders. Peppers are a matter of taste. Review the heat index of pepper plants before deciding what to plant. Keep a variety in your garden and prepare salsa that will please those who love the heat and those who just can’t handle it. No matter how hot you like your salsa, handle peppers with care and use gloves; the process of veining and seeding peppers transfers pepper oil, and thus heat, to your skin. You may or may not feel this while in the kitchen, but should you rub your eye, scratch your nose, or need to put in contact lenses at any point in the next few hours, you will definitely notice. Other horror stories include changing diapers (poor baby) and, for the gentlemen, using the bathroom. Cilantro is another matter of taste. To some of us, salsa isn’t salsa without cilantro. However, some people find that cilantro tastes like soap. This is genetic and can’t be helped, so be prepared to provide a cilantro and a non-cilantro option when serving your salsa to guests. It’s easy to get very excited in the planting season and put things in the ground too early. While onions can be planted early, tomatoes have a very definite need for a certain amount of sunshine, and peppers can’t handle cool weather. Review your hardiness zone and err on the side of late rather than early. Cilantro can be sown as soon as you plant your tomatoes. A little cilantro seed can go a long way, so keep a section of your salsa garden free for the next planting of cilantro and plant every two weeks. When one section goes to seed, discard those plants and plant more in the empty space.